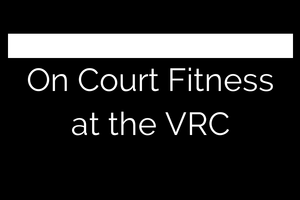 In 2014 I ran a series of on court group fitness classes. No weights, just balance, mobility and speed, all key components of squash performance. Whether you are trying to improve in a sport or in business you need to put in time practicing specific skills. To get better at squash time should be spent working on your racquet skills, your foot work, and your conditioning. To truly get better at these components we must do more than just play games. A little bit of time during the season and a bunch of time in the off-season solo hitting, ghosting, drilling, and taking part in on-court fitness will take you to the next level. Another incredibly important aspect of staying healthy and performing well is strength training. If you are comfortable in the gym I highly recommend lifting weights to reduce asymmetries and to build joint and tendon strength. The offseason is a great time to build a base of basic full body strength. My goal is to write more and provide more videos on these topics.